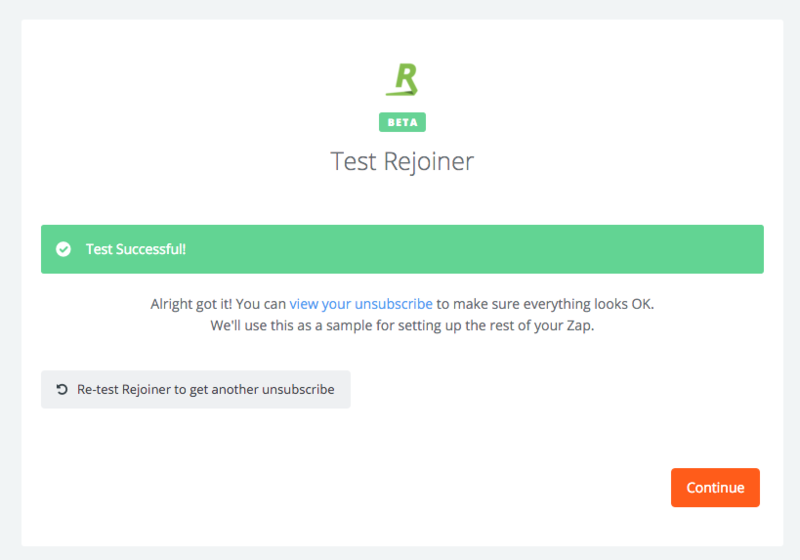 Our Zapier integration is currently in beta. To request an invite, please click here. Triggers are events that occur within your Rejoiner account. Actions can be taken inside of your Rejoiner account when an event is triggered by another application. Abandon Trigger Send abandoned cart data to other applications when a contact abandons your site. 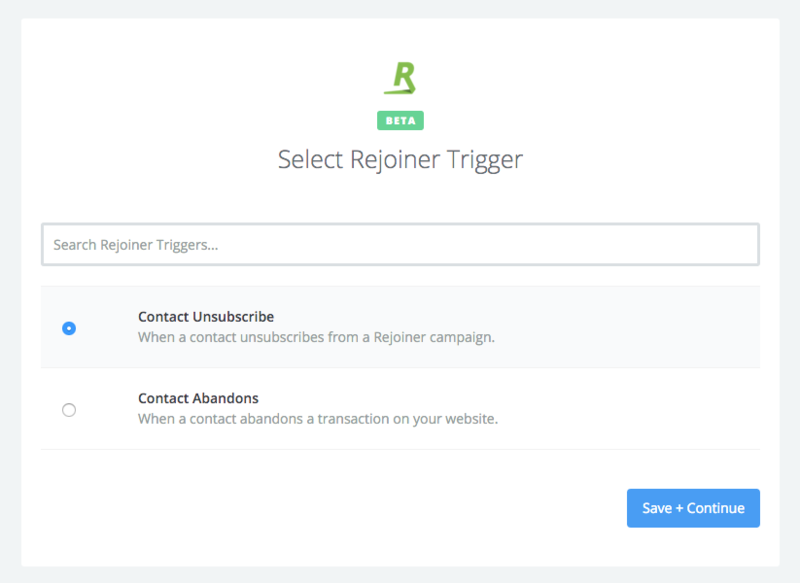 Unsubscribe Trigger Send new unsubscribes to other applications when a contact unsubscribes from a campaign. Add to list Action Add an email to a list inside of Rejoiner when triggered by an event in another application. Request an invitation for our Zapier integration here. 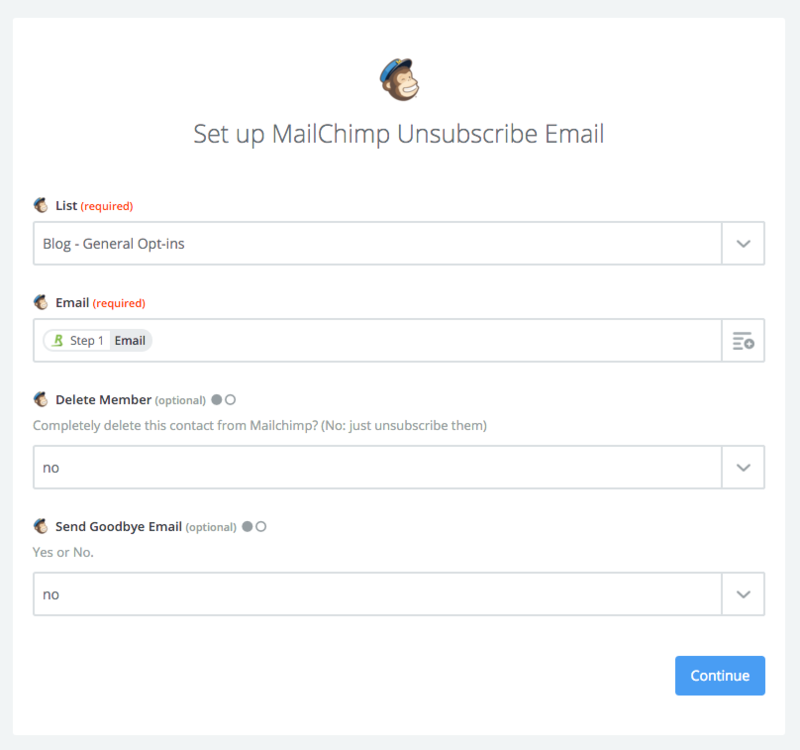 For this example, we're going to use Zapier to send new unsubscribes to Mailchimp. Make sure you have at least one recent unsubscribe available for testing. Trigger a new welcome series when a contact opts-into a WisePop form. Send details about new cart abandoners to Saleforce.